Your donation provides local, public media to people of all ages throughout southwestern Pennsylvania and portions of Ohio and West Virginia. Get access to exclusive member benefits when you donate $40 or more. WQED Digital Guide Subscription: A monthly online magazine with exclusive members only content that will keep you tuned into everything happening at WQED. 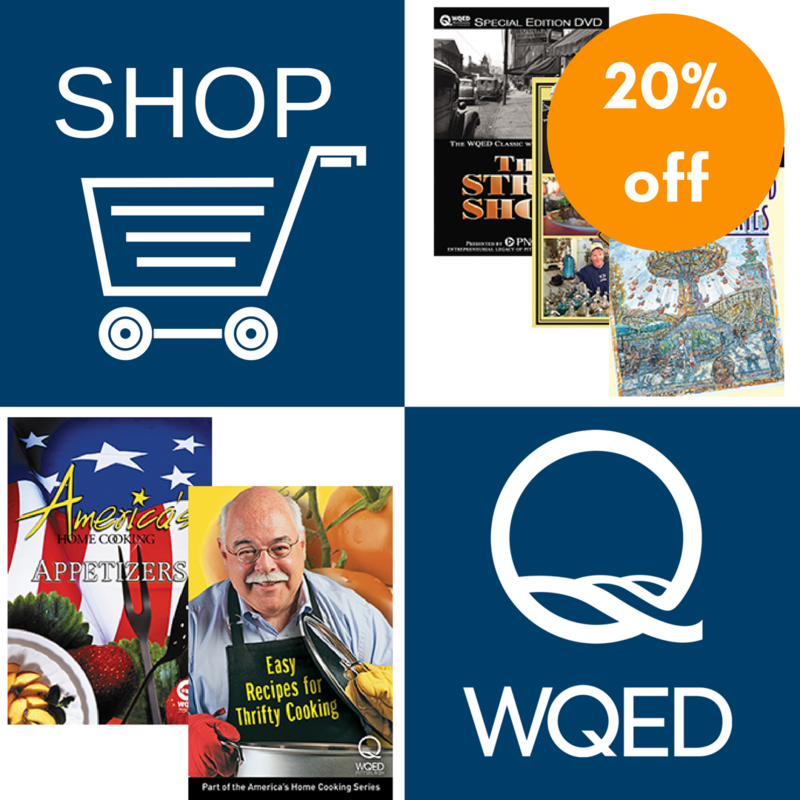 20% Off at Shop WQED: Browse WQED favorites like Rick Sebak's Pittsburgh History Series DVDs and find unique Pittsburgh-themed gifts. 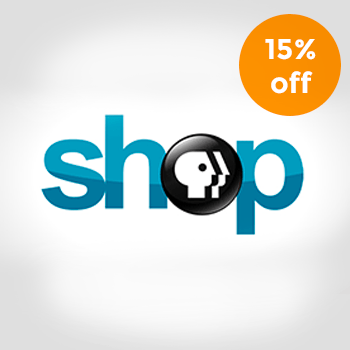 15% Off Shop PBS: Find past and present favorites like Ken Burns documentaries, Masterpiece programs and more! WQED Passport: Our newest member benefit! Access tens of thousands of hours of the best national and local shows on demand. Learn more about all of these benefits below. My wife and I love WQED. We listen to 89.3 on our commute every weekday. The music and Jim Cunningham’s cheerful voice are good for my blood pressure (which, in turn, is good for other commuters). Seriously, Jim, Anna Singer, and many others involved with the station—plus, of course, the station itself—are Pittsburgh treasures that need to be supported, so we try to do whatever we can to help out. 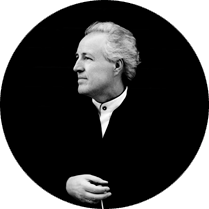 WQED is an ambassador for Classical Music and the Pittsburgh Symphony Orchestra. WQED is spreading the word about the greatness and the need for Classical Music, and for me it’s sensational what this radio station is doing. I hope that as many people as possible can support WQED. It’s unique in the world. The WQED Digital Guide is available to all Members who make a yearly cumulative contribution of $40 or more. 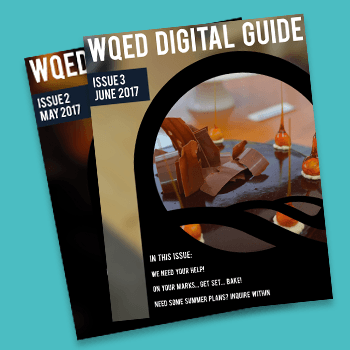 This multimedia publication gives members an insider’s look at WQED. It can be a challenge to stay current with the many new programs premiering each month. The WQED Digital Guide helps you navigate all these great programs, by highlighting the most anticipated premieres and taking you behind-the-scenes at the studio. For more information about the WQED Digital Guide or to ask a question about the service, please email us at digitalguide@wqed.org. Learn more about the WQED Digital Guide by watching the video below. WQED Passport allows you to watch your favorite PBS shows whenever and wherever you want. You can catch up on a single episode or binge watch full seasons, streaming straight to your Roku, computer, tablet, smartphone, Apple TV and Amazon Fire TV! Through WQED Passport, you'll have access to tens of thousands of hours of the best national and local shows on demand! 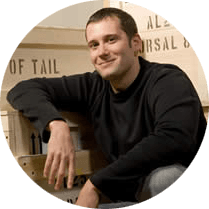 Sign in to begin the activation process. WQED Passport is a benefit for eligible members ($60+ annual).